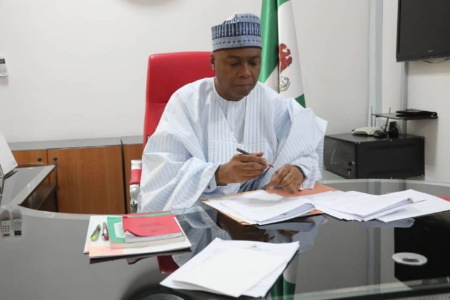 President of the Senate, Dr. Bukola Saraki, on Wednesday morning signed the Senate’s version of the National Minimum Wage Bill, 2019 (SB 722). The Bill passed the Third Reading stage at the Senate on Tuesday. It is expected that President Muhammadu Buhari will assent the bill as passed.